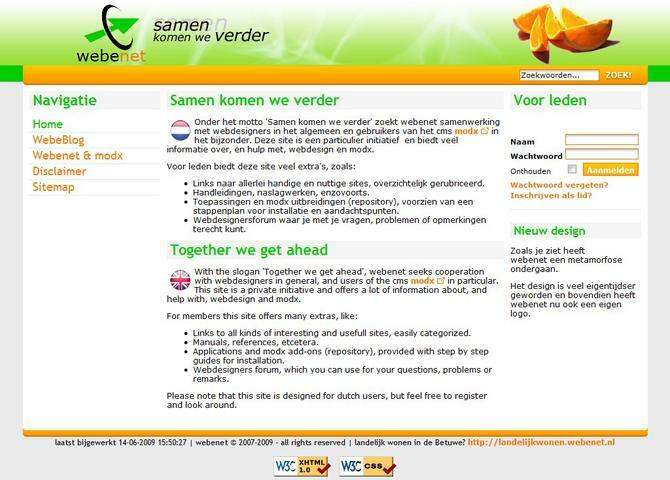 With the slogan 'Together we get ahead', webenet seeks cooperation with webdesigners in general, and users of the cms modx in particular. This site is a private initiative and offers a lot of information about, and help with, webdesign and modx. The site is in Dutch only. Visit Webenet - Samen komen we verder met modx.